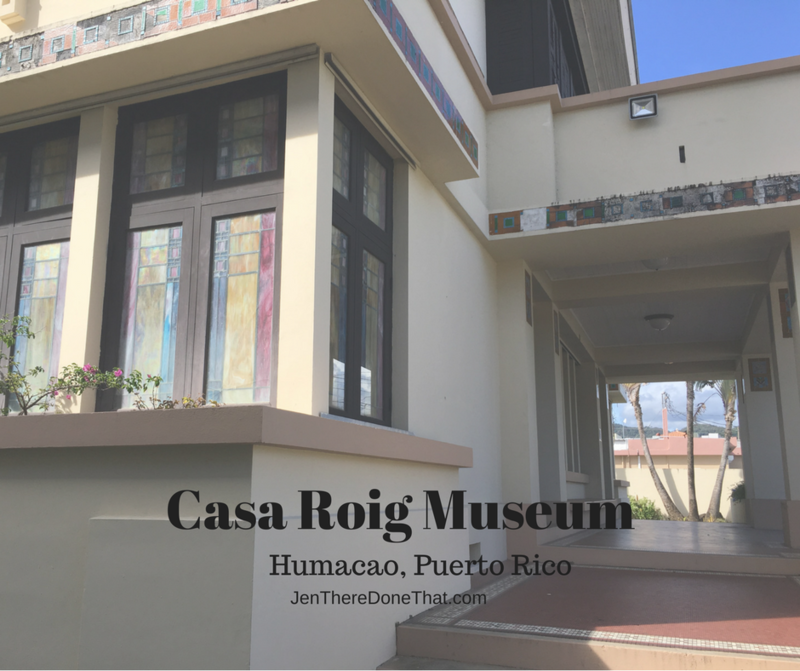 Located in the heart of Humacao, Puerto Rico, Museo Casa Roig is hidden on a small street. A street that I have hurriedly driven down, not noticing this delightful two story former plantation owner’s home now restored and converted into a museum and art gallery. The exterior tiles around the house are in mid-restoration while the house itself looks like construction was just completed. The interior offers dark wood floors and walls, polished to a shine. 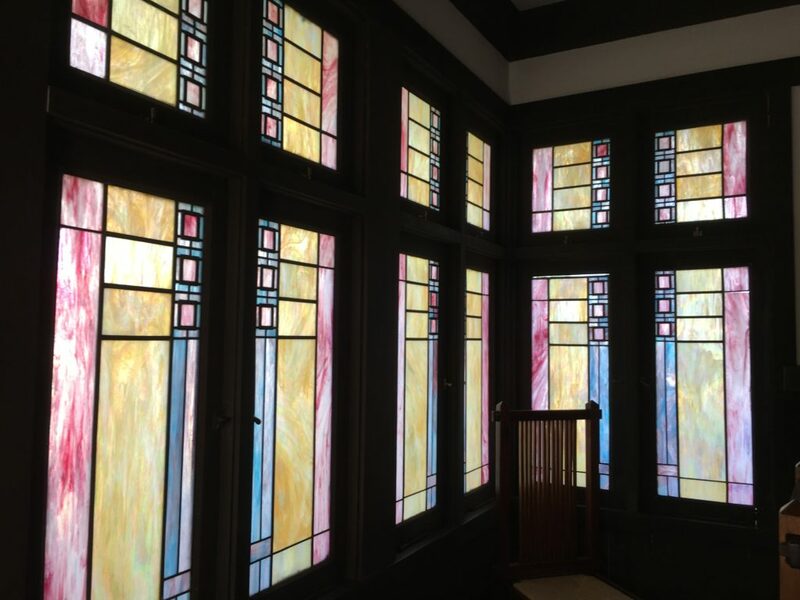 It is the bright colored stained glass windows all around the house that will wow and delight visitors. Visitor’s are taken through the house room by room learning about the owners, architecture, restoration process, and viewing of the current art exhibition in the upper rooms. The kitchen is my favorite part of the house. The butter yellow stain glass above the window, honeycomb tile floor, and white tiled wood burning stove are all original to the house. Stepping into the kitchen I can almost hear the bustling sounds of preparing meals and the smell of wood burning mixed with the local root vegetables simmering on the stove. Be sure to watch my video tour until you can visit this treasure for yourself! Tours can be reserved by calling ahead (787-852-8380), or take a chance and show up Monday through Friday 10 am until 3:30 pm. There is small parking lot in back of the Museum. Parking, museum entrance, and private guided tours are FREE! There is a small donation box for guests that want to contribute to operations and restoration fund. The house and surrounding property was donated to the University of Puerto Rico in 1977. Adjacent to the former plantation home, is a new building that functions as administrative and research facilities. 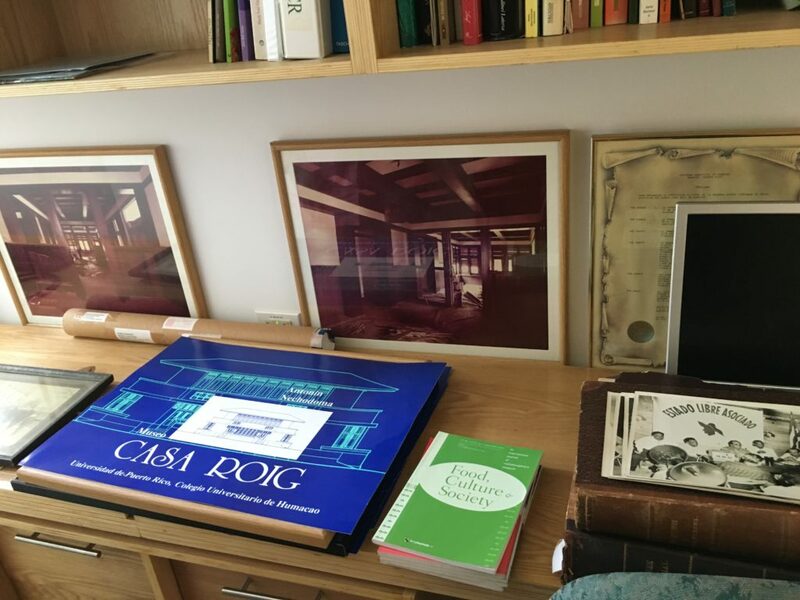 There is a small dedicated research room for preservation of original photos, the history of the Roig family and sugar plantations around Puerto Rico. 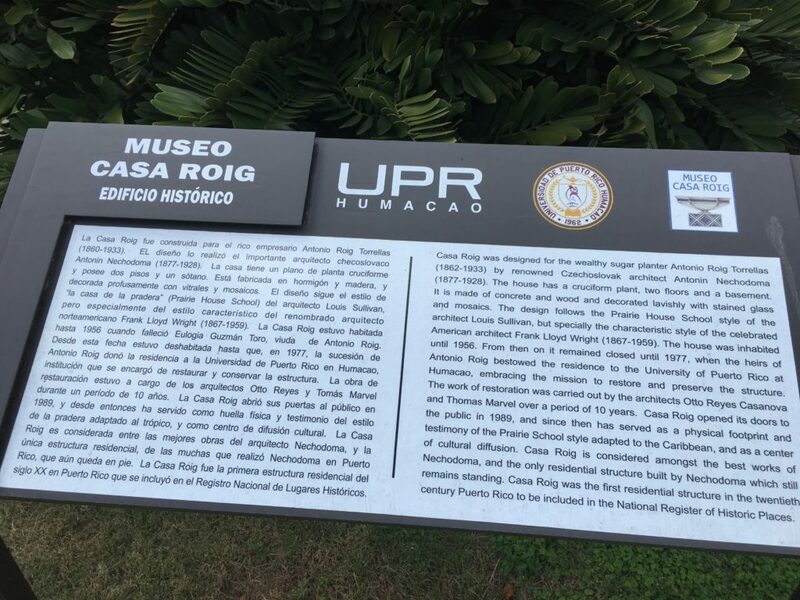 Despite sugar production being a major influence in Puerto Rico, there are not many preserved sites like Casa Roig to learn about the history and see the artifacts of the time. 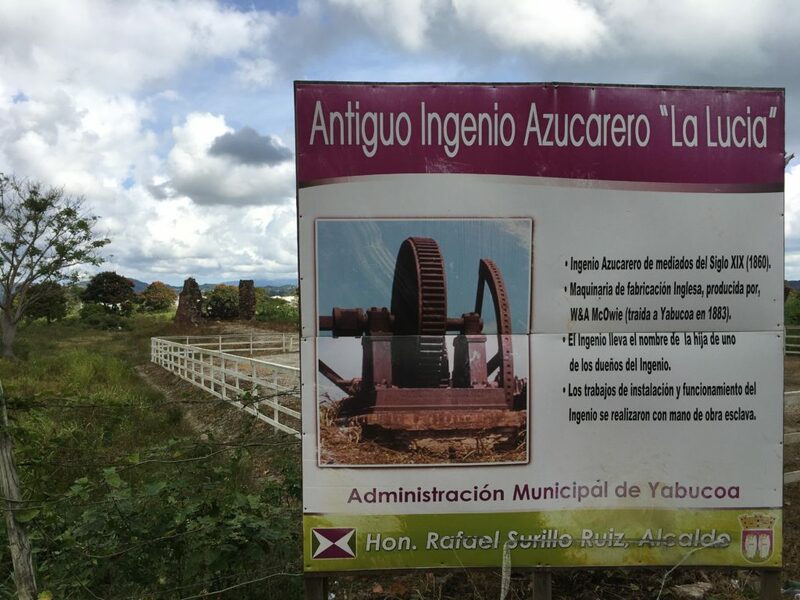 In my attempt to learn more about sugar production in the area, I went to the ruins of the Hacienda la Lucia sugar mill site in Yabacoa, 15 kilometers south of Casa Roig along the east coast in Puerto Rico. What remains of a corner wall and a couple large rusted gears are the only items on-site. Without bolt cutters, I was unable to walk any closer than this sign and the barbed wire fence behind it. I had better results with my drone and was able to get close enough to capture this image of the site. 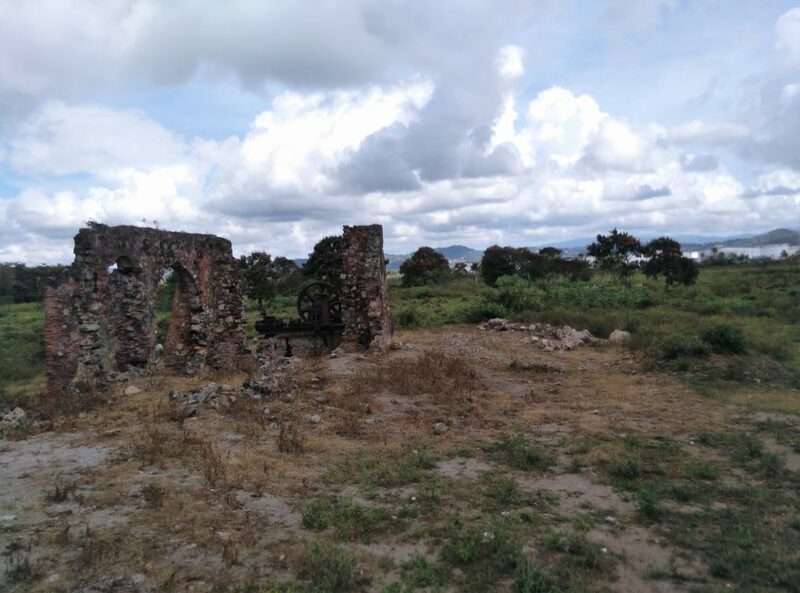 That is all that remains of this sugar mill that was so critical to the economy. A better preserved site is the Water Pump station located in Humacao Natural Reserve. The rusted pipes and pump housing is accessible to allow anyone to get up close and walk around the remaining gears and pipes. Where ever you go in Puerto Rico, keep a look out for evidence of the sugar plantation history, it is lurking all around the island! I really enjoyed reading your blog and Wonderful picture! Thank you for your sharing! I’d really like to go to Puerto Rico one day. This sounds like a really interesting museum. Puerto Rico is such a stunning place. We have always dreamt of going to Puerto Rico. We love museums and would definitely love to visit this place. Hope we can visit Puerto Rico soon. Love the way you have written such a detailed post with tour timings, phone numbers and the historical background. As soon as I go to Puerto Rico, I wouldn’t hesitate to visit this amazing museum. Thanks for the educational post, Jen! That house is really interesting, I love old houses and especially stained glass windows! The kitchen is also quite charming. I never realized that the sugar industry had such deep roots in Puerto Rico. I am certainly intrigued to learn more! The experience of learning about sugar plantation is something i’l look forward to. The stained glasses look so beautiful. It give a cheerful light to the otherwise gloomy room. Beautiful. I had no clue sugar played such a crucial role there. It’s great that you went to this attraction and got to learn a little more about the history! Casa Roig looks very interesting! I liked being able to go inside the museum on a virtual tour through your video and hear the explanation. I’ve been inside a couple of FLW buildings, and the windows do remind me of Wright. I hope to see this part of Puerto Rico someday! This is cool! I’ve been to PR but I didn’t do anything artsy or even indoors so it’s good to know that this is an option. I like that it used to be a house but they converted it to a museum/art studio. Thanks for sharing! I haven’t been to Puerto Rico but fresh sugar cane is so yummy! It’s interesting to learn about all the history behind the industry that effected so many people. 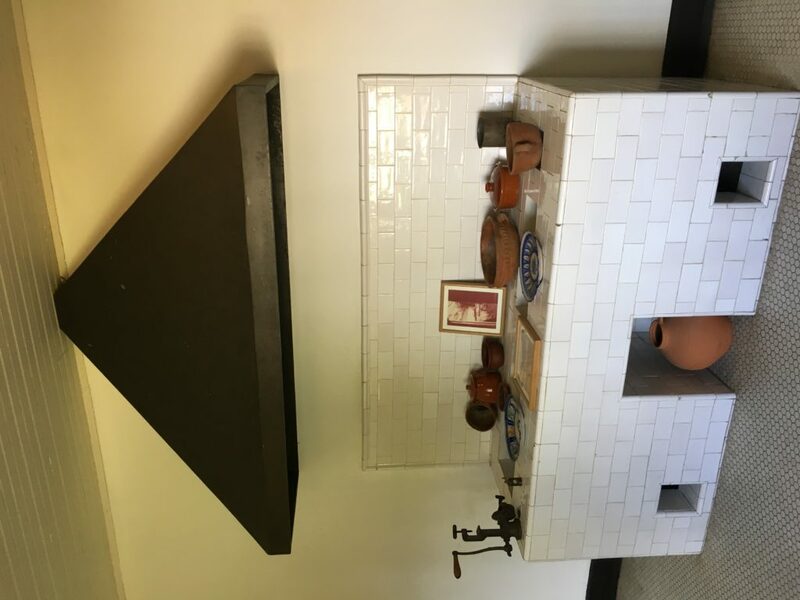 Oh and I want that tile wood-burning stove in my kitchen! Puerto Rico??? I have never thought it had that much history. I spent time in the DR.
Puerto Rico was “discovered” by Spain before the USA. There is so much history and culture, sadly, like this museum it takes a deep search to find. I love house-turned museums because it adds a personal touch to history. Instead of just facts, there’s a story about a family that goes with it. Looks awesome and is easy to see that the home was influenced by FLW. Thanks for sharing! I have never been to Porto Rico, but this place sounds quite interesting. It helps understanding and/or discovering some history of the country, which is always important when you visit somewhere! This article is really fascinating! I love that you went above and beyond to find some other old sugar plantation sites. It’s pretty cool that the Casa Roig museum still stands! Thanks for sharing all this great info!! You’ve just given me another place to visit in Puerto Rico, I’ll probably have to spend more time on the Island than on my cruises! I need to get into drone photography, it’s still quite rare to see drone photos and I certainly haven’t seen any of Puerto Rico. I’ll check out the Casa Roig on my visit, maybe without a drone though. Only the ruins of sugar mills needed the drone, the other sites are available to explore and walk around. There is so much to see beyond the port in Old San Juan. I love history and this sugar plantation looksso cool to me. It’s funny though because when I think of plantations, I always think of the Southof the US. I never think about the plantations in the Carribean and Puerto Rico. Thanks for sharing. That’s a cool visit. I’ve only visited Caribbean islands on a cruise, and I felt like I was missing the culture and history so it’s nice to see some of that here. So nice that it is free. What a great way to learn about something that is so important to the culture. I also love the stained glass. Great post! I also enjoyed your videos. It was great to hear about the history! What a beautiful house! I especially like the purple lotus flowers in front of it! I have been to Puerto Rico several times and have never taken the time to learn about the sugar production. Thanks to your article and video, I will make sure to visit this home next time I visit. It would be interesting to get a glimpse of how life was lived there and some knowledge of plantation history. Nice, unique post. Funny how easy it is to spot Frank Lloyd Wright influence…I would not expect to see that in Puerto Rico, though! It certainly sticks out in PR, I imagine it was quite the news in town when it was built. Absolutely stunning! Can you imagine what it would have been like to live there? Or clean it lol. I love visiting museums. It would take hours to clean all of those windows! This seems like a fantastic place to learn more about the local sugar plantation-related history, and what a bonus that private guided tours are free! I always find that when that’s the case, I end up donating about the same as I would have paid anyway, simply because I appreciate the fact that it’s free to begin with! Such a great idea to use your drone to take closer photos of somewhere you couldn’t get to on foot – I’d never thought of that before!